Meg Whitman will not stand for re-election for the board of directors at Hewlett Packard Enterprise. This marks the final departure of Whitman from HPE, a company she helped create after presiding over the splitting of Hewlett Packard in 2015. Whitman stepped down as HPE CEO in early 2018, and is now CEO of video startup Quibi. HPE announced that Jean Hobby, most recently of PricewaterhouseCoopers, will join its board. Meg Whitman will not stand for re-election to the board of directors at Hewlett Packard Enterprise, the company said on Thursday. Whitman first became CEO of Hewlett Packard in 2011, and oversaw its 2015 split into two companies — Hewlett Packard, which retained its consumer-facing PC and printer businesses, and Hewlett Packard Enterprise, focused on serving larger customers. 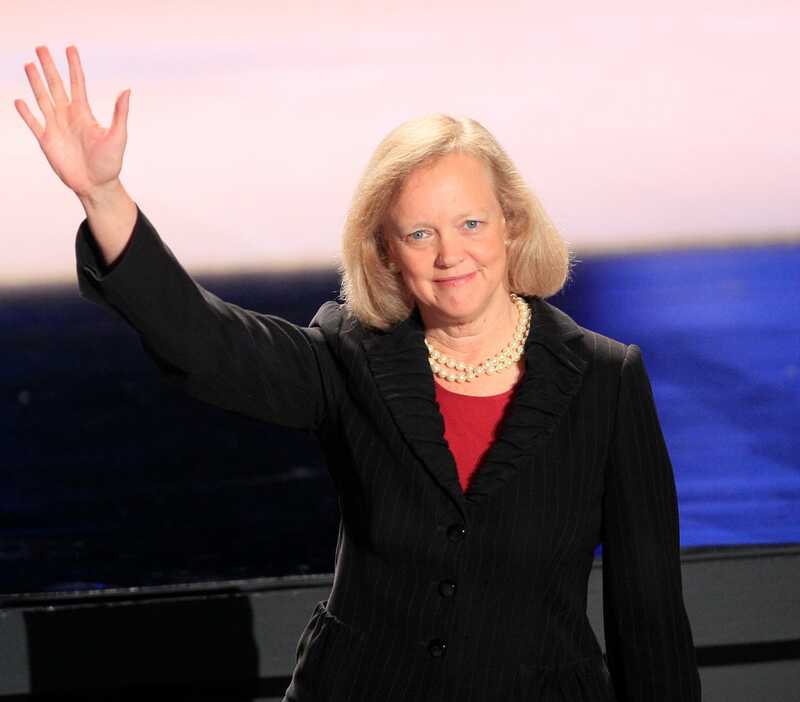 After the split, Whitman become CEO of the newly-formed HPE. However, in late 2017, Whitman announced that she would step down as HPE’s CEO, following reports that she was looking for a new job. It was reported, at the time, that she even interviewed for the then-open role of CEO at Uber. After her departure in early 2018, HPE President Antonio Neri was named the new CEO. „I thank Meg for her long dedication to HPE, helping us successfully launch as an independent company and execute a smooth leadership transition. We wish her every success in the future,“ HPE chairman Pat Russo said in part of a statement on Whitman’s departure from the board. Nowadays, Whitman is the CEO of Quibi, a video-on-demand startup founded by famed Hollywood exec Jeffrey Katzenberg. As for HPE, the company also announced on Thursday that Jean Hobby, most recently the chief strategy officer at consulting firm PricewaterhouseCoopers, will be joining its board. She also once served as CFO at the same firm. HPE also announced on Thursday a cash dividend of $0.1125 per share on its common stock, and that it has about 1.4 billion shares of common stock outstanding.